In a Realm of Orion, a powerful, but greedy wizard gathered knowledge from around the world and recorded what he learned in three books. The books gave him ultimate power, however he used them not to prosper, but for chaos! Under the cover of night, a brave enchantress stole the books and took them far away - to the very edge of the world so that the Wizard couldn’t access their power. Now, years later, the enchantress’ daughter Meredith returns home to find that the ancient tomes have been stolen. Help her retrieve the ancient tomes and stop the Wizard’s wrath. 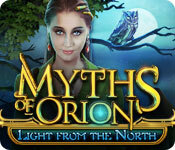 Myths of Orion: Light from the North is rated 4.3 out of 5 by 66. Rated 5 out of 5 by charlene_lane from ARE YOU IN THE MOOD FOR AN ADVENTURE? REVIEW FROM COMPLETED GAME I thoroughly enjoyed this game which took me nearly 10 hours to complete playing on Challenge mode. You play the character Meredith and you are off on an adventure to find the three books of Knowledge, Law and Magic. There is: * Voiceovers (with dialogue); * Novice, Adventure, Challenge and Custom modes; * Interactive map; * Diary; * 12 Achievements; * Find 12 Enchantress' Cross and 8 Witch's Talisman. The graphics are great. Everywhere is well defined, clear and has plenty of colour. I loved roaming around having a good look. Sound is good and the music is orchestral, piano, violin and oboe/cello which plays on a loop, but its beautiful music. 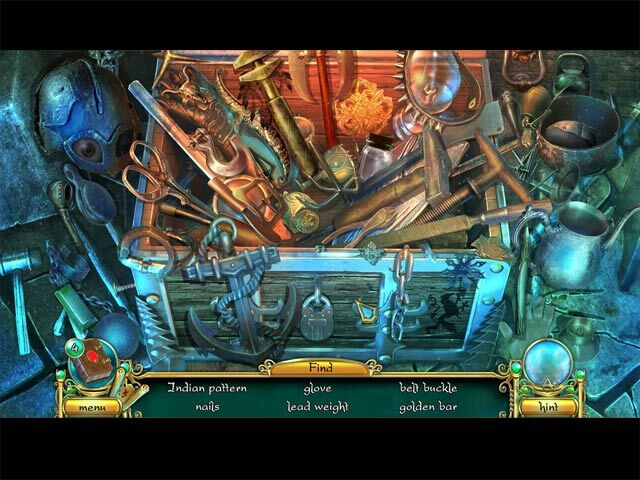 The hidden object games are straightforward, silhouette and find 12 spiders/handprints. You will mainly do each HOP twice. These had a good challenge as there was always one item that took me ages to find. I enjoyed doing them all. There are a huge variety of mini-games to play. A few took me some time to conquer - especially fighting those demons. However, I took my time and managed to do them all without hinting or skipping. I've seen most of these before, but I enjoyed the challenge in defeating them again. There are 12 achievements. I got 11 of them, but you get an achievement if you play on Adventure and you get an achievement if you play on Challenge - you can't get both - its one or the other. I felt that I had worked hard to get them, which is a real bonus for me - its a sense of accomplishment. The interactive map works well if you need it. Its builds up to be quite a big game with lots of locations. In Challenge mode it does not show areas of interest, so you will need to work things out for yourself. I loved this. 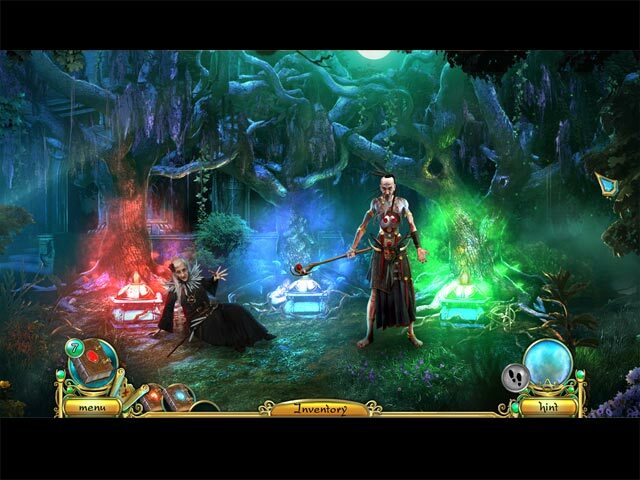 Throughout the game you will be looking for 12 Enchantress' Cross and 8 Witch's Talisman. Get them all and you get an achievement. So all up its a really long game, so well worth you hard earned money. Its a great adventure game with plenty to do in each scene. You will never be bored here. Most definitely comes recommended. Well done devs. I'm just about to download 'Tales from the Dragon Mountain 2' from the same developer which looks good. Happy playing fishes - this is a gem. Rated 5 out of 5 by Tink54rn from fun game! Very good game with many levels. Some of the puzzles were very hard, others medium level. Lots of hidden object areas and potions to make. Played for a long time. Enjoyed! Rated 5 out of 5 by skeeteroo from Still the best I play lots and lots of these games and this one is still the best. I love the voice over, the characters, the story. The game play is creative and just challenging enough to keep it fun. Plus, it came out before the only way to get the trinkets in each scene was to buy the Collector's Edition. Highly recommend. Rated 5 out of 5 by tutortime from Great Game ! I think this is an older game, but I really enjoyed it. The story line, graphics and mini games were very good. It plays quickly but was fun. Great game to buy with your coupon. Rated 5 out of 5 by LuLu453 from Great Game! I loved this game! The music was wonderful and the challenge was fun. I highly recommend this game for all who love adventure. Rated 5 out of 5 by huffpatsy from GREAT GAME11 This is the best game I have played in a long while. Fun hidden object game, challenging at times but I thoroughly enjoyed it. I would recommend this game! Rated 5 out of 5 by mospain89 from Just looking for stuff This game has a lot to offer, color, the story line is the best and I love that you don't have to cook portions the ideal of the circle with the ingredients is perfect. Rated 5 out of 5 by istara from Beautiful game, fun puzzles I really enjoyed this, it was very slick and beautiful, with long game play. Rated 5 out of 5 by monileme from Good game A good story and a different game with unique scenes. 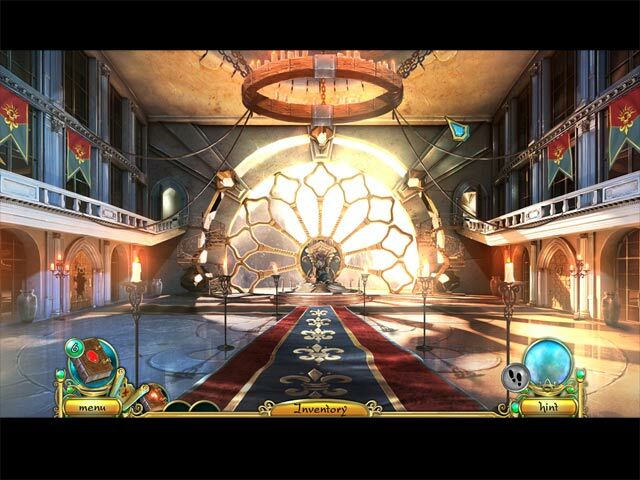 Help Meredith retrieve the ancient tomes and stop the Wizard’s wrath in this hidden object adventure!